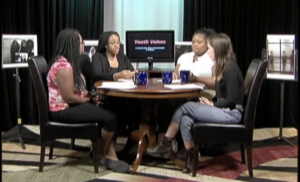 Thank you for making a pledge to Youth Voices. We will notify you by email when the fundraiser is launched! Please support our summer 2016 youth program with a donation. to endorse Janice Williams's fundraiser for Boston Neighborhood Network. Working with the City of Boston's Department of Youth Employment and Engagement, BNN will host 10-12 teenagers this summer. These students will spend 6 weeks learning real life in field production, editing and studio production. We are raising funds so we can hire teachers and coordinators. Your support is greatly appreciated. Endorse Janice Williams's fundraiser for Boston Neighborhood Network. Log In or Create An Account to endorse Janice Williams's fundraiser for Boston Neighborhood Network. Providing overall local television programs and opportunities not available on other television venues in Boston. BNN has been managed by the Boston Community Access and Programming Foundation, Inc. (BCAPF) since Boston's first cable franchise agreement in 1983. Following four years of studies, reports, advisory commissions and public hearings, Mayor Kevin White issued a Request For Proposals that incorporated the concept of a nonprofit “access and programming” corporation. Based on recommendations of the Cable Access Advisory Committee, the Mayor awarded a 15-year license to build and operate a cable system to Cablevision of Boston, which agreed to provide an annual franchise fee in support of public, educational and government access to this new technology. BCAPF was founded in 1983 as a 501(c)(3) non-profit to “ensure access to channels and facilities for all Boston residents, groups and institutions and to provide public education and training regarding the use of access facilities and channels.” Its founding document, crafted by Attorney Charles J. Beard and others, reflected a far-sighted vision. Among BNN’s stated purposes is to “foster and generate experimental uses” and “to distribute programming, by cablecasting, broadcasting, or by any other means, within and without the City of Boston.” This defined a long-range mission that not only provided immediate community benefits based on 1983’s state-of-the-art technology but also anticipated that further technological advances would always emerge over the horizon. BNN began operating with a full-service production studio in Roxbury, a training and field production access center in East Boston and a mobile production truck that could travel across the city. Over the years BNN has operated access centers in many neighborhoods, including Jamaica Plain, South Boston, the South End and a downtown facility that included a studio for Boston-serving nonprofit organizations. BNN trained groups in Allston-Brighton with its mobile production truck and a field coordinator worked with the Dorchester community. As technology changed, BNN changed with it, adapting equipment and training to meet the needs of Bostonians. In 2001 BNN added a digital multimedia lab to its menu of services and began the transition from analog to digital technology. In 2005 BNN purchased the former MBTA Power Station in Egleston Square, launched a successful capital campaign to rehabilitate the building into a state-of-the art media center and opened the doors to its new home in 2007. In Boston, we are fortunate to have strong support from city government for community access to media, and cable providers that are committed to giving something back to the people that provide their profits. The franchising agreements between the city of Boston and its willing partners, the cable providers and BNN, have resulted in over 30 years of tremendous benefits that have become engrained in the civic, social and cultural fabric of the city. As media production and distribution technologies evolve, challenges to the regulatory framework that assures local oversight and locally produced programming are being mounted on the state and federal level. BNN has been active in educating its constituents and legislators alike about these issues, in order to encourage competition, affordability and equitable access for consumers, while also maintaining oversight by local communities to ensure accessibility for community expression.